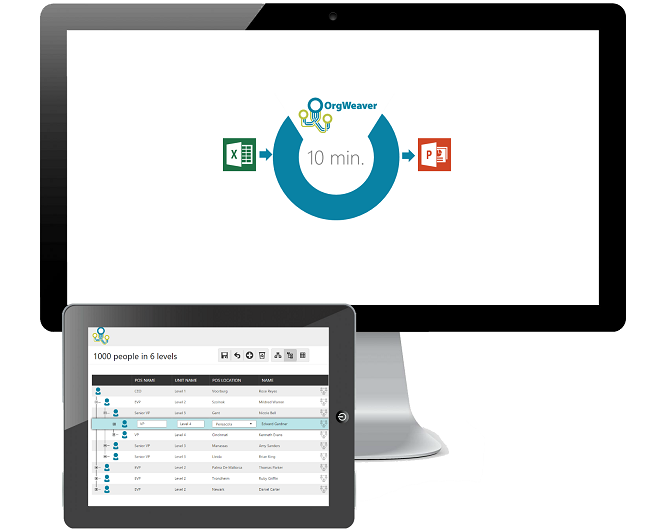 OrgWeaver saves time and money. Import your own data. Export to PowerPoint or Excel. Simple. Unlimited time. No credit card required. Secure. OrgWeaver lives securely in the cloud. No need to ask IT to support another solution. OrgWeaver exports directly to fully-editable PowerPoint org charts. OrgWeaver has online, email, and chat support if you need any help along the way. Share your org chart directly from OrgWeaver. Get feedback and updates from your colleagues. Save an entire day of work. 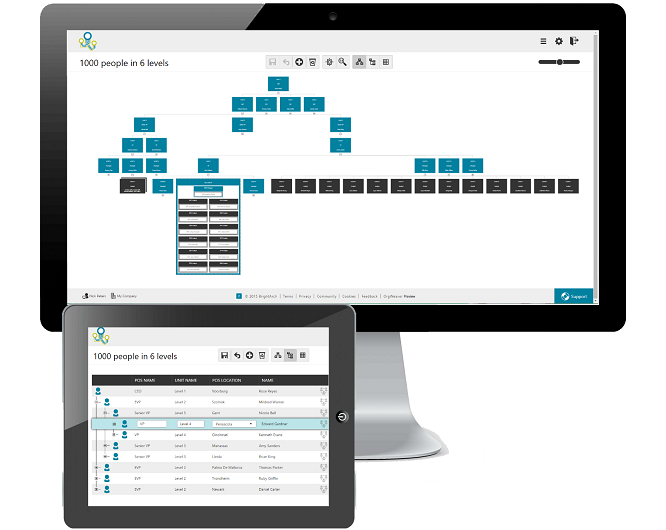 Make a free org chart today. 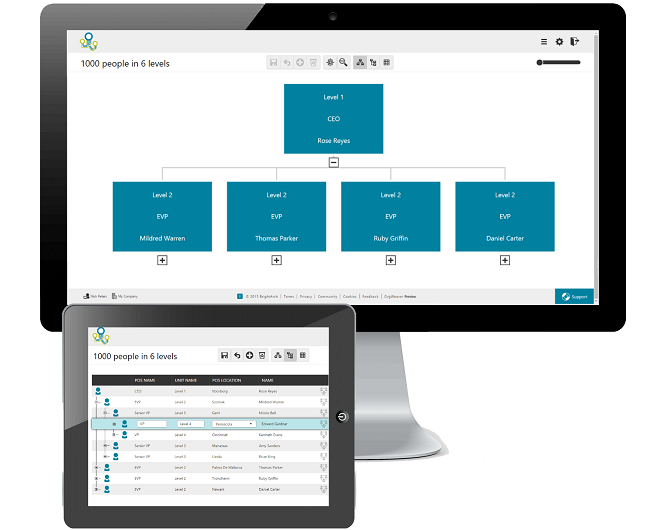 Why did we make a free org chart software? Because we know what happens when you get the request to make an org chart. It’s time-consuming, painful, and just when you think you’re done, you have to start again. There are other org chart tools for sale, but you often have to go through a long process to approve the purchase before you can even see the value. That just doesn’t work. You need an org chart today, not months from now. So, you Googled something like “free org chart”. You hoped that you’d find something that could help you out today. And then you ended up here at OrgWeaver, where we take pride in helping out HR people who need help right away. 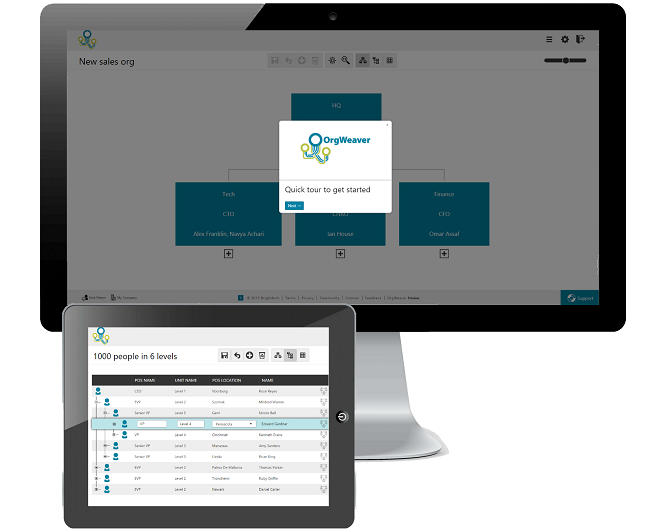 So go ahead, sign up for your free access to OrgWeaver and make your free org chart quickly. And then export it to PowerPoint (we know your boss loves PowerPoint). Spend the time you saved on meaningful work.